Chicken Legs is a big fan of green peas. I don't make them often enough for him. It is because I really don't know the best way to serve them. Well, know I do. This recipe is great. It has tons of great flavor and didn't take a ton of work. 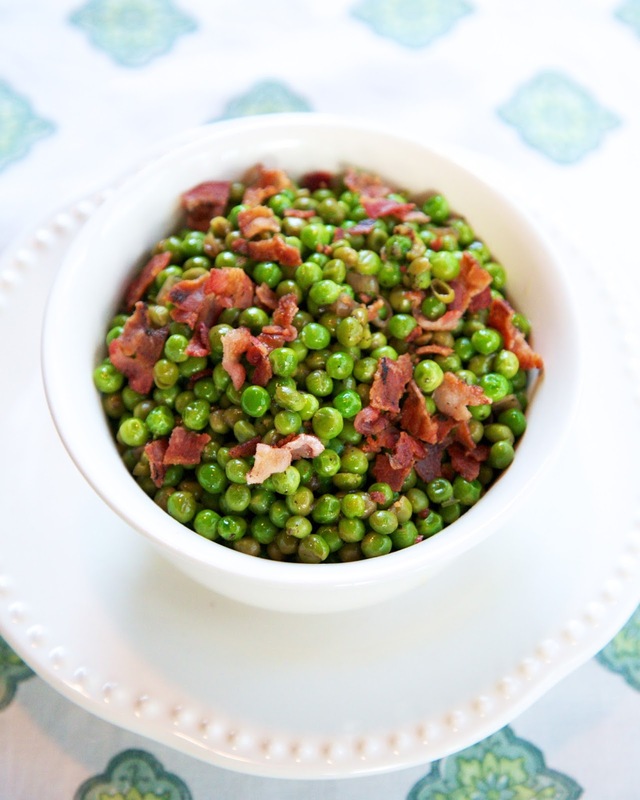 The peas are seasoned with shallots, orange juice and bacon. You know it will be good because of the bacon! 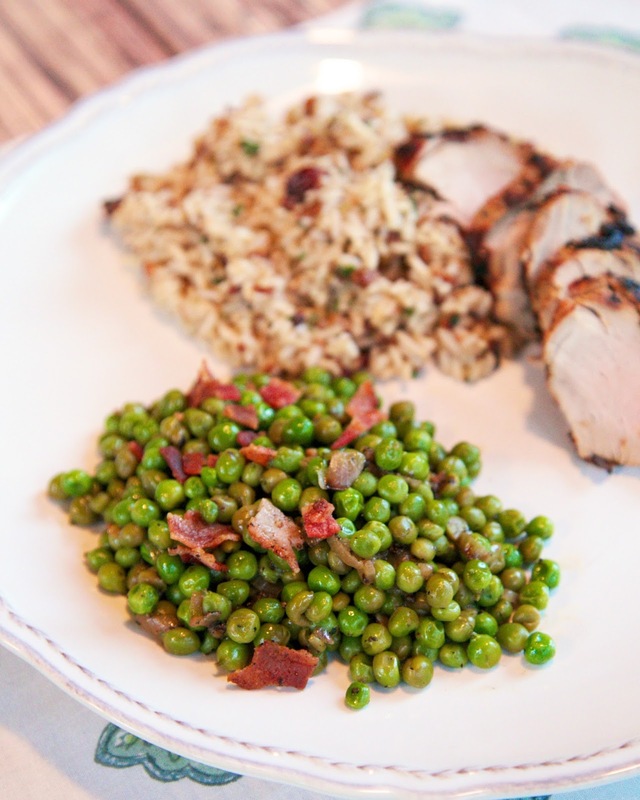 We served these peas with the Orange Dijon Pork Tenderloin I shared last week. They were the perfect accompaniment to the orange marinated pork. Chicken Legs gave the peas two thumbs up! He requested these for Easter dinner. In a medium skillet, cook bacon until crispy; remove from skillet. Drain, reserving 1 tsp of drippings in skillet. Saute shallot in hot bacon drippings over medium-high heat for 2 minutes. Stir in orange zest, orange juice, pepper and salt. Cook until reduced by half, about 5 minutes. Add peas and cook an additional 5 minutes. Stir in butter. Top with bacon. I just love love love green peas and I am going to try this recipe as soon as possible. Thank you so much for sharing. It's really good with kale also! !